This beautifully illustrated photographic field guide is the first to focus on the identification of the fascinating, diverse and unique wildlife of Madeira and the Canary Islands. This beautifully illustrated photographic field guide is the first to focus on the identification of the fascinating, diverse and unique wildlife of Madeira and the Canary Islands - featuring the birds, mammals, reptiles, amphibians, butterflies and dragonflies that are most likely to be seen. 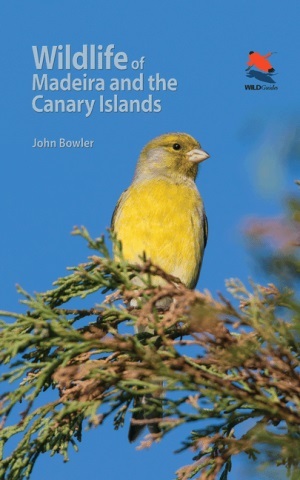 Richly illustrated introductory sections cover the key wildlife sites to visit on each of the islands and provide an overview of the islands' geography, climate, habitat types and current conservation efforts. Stunning colour photographs highlight the key identification features of each species, and the accompanying text covers status, habitat preference, behaviour and, where appropriate, calls. The guide also features an up-to-date distribution map for each species. Complete with an attractive, user-friendly design, this is a must-have guide for all visitors to these magical islands. Includes distribution maps for all species, as well as information on occurrence, status, habitat preference, behaviour and calls.